Kalamsat is a technology evaluation and amateur communications satellite based on the last stage of the PSLV launch vehicle. 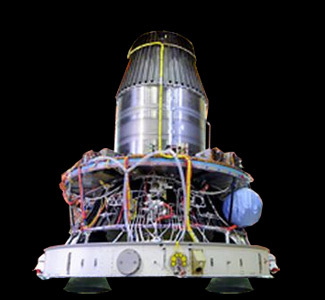 This mission uses a modified version of the rocket's upper stage that allows it to serve as a long-term platform in orbit for experiments. A student-built payload called Kalamsat was incorporated into the upper stage for this launch. 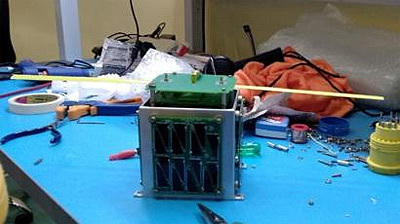 The hosted Kalamsat v2 amateur communications payload was developed by Space Kidz. The payload is battery powered and was active for a few orbits to perform data transmission. Kalamsat v2 is a 10 cm cube satellite weighing 1260 g, which remains attached to the stage. It uses a modified new kind of electronic systems and buses which makes use of commercially off the shelf components to make the space exploration easier and economical. It was used for testing the performances of these newly modified systems like OBC, eps, communication, and structure. Power is provided by the PS4 stage's lithium ion batteries, which can operate for about 15 hours. The Kalamsat v2 payload itself was powered by its own solar cells. An earlier version of the Kalamsat payload had been flown on a suborbital flight of a NASA Terrier Orion sounding rocket on 22 June 2017 as a femtosatellite sized payload of just 0.1 kg.